Jacob & Co is expanding its iconic Epic II collection to include new designs featuring bold coloured dials of red and yellow. Paying homage to the creative spirit of the brand, the Epic II perfectly embodies the DNA of Jacob & Co by merging bold primary colours with innovation and fine craftsmanship. The dial of this chronograph is composed of six layers including geometrical sub-dials and markers that are available in red and yellow colour options. The dial is enclosed in a 47.50 mm black stainless steel case. 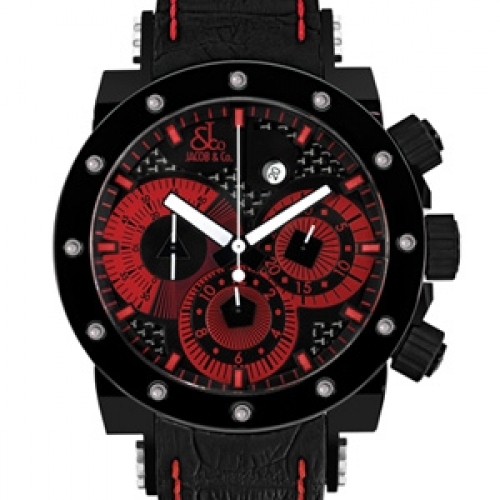 The Epic II with red colour details showcases the artistic talent the brand is renowned for, as well as the continued dedication to innovative designs.